Oenophiles, take note: the Columbia’s wine list includes some 850 wines and more than 50,000 bottles. Spain’s leading winemakers have recognized the Columbia as having the most complete and the world’s best collection in the world of Spanish wines. Flamenco dance shows are performed twice every night except Sunday, and a jazz band performs on Thursday, Friday and Saturday nights. 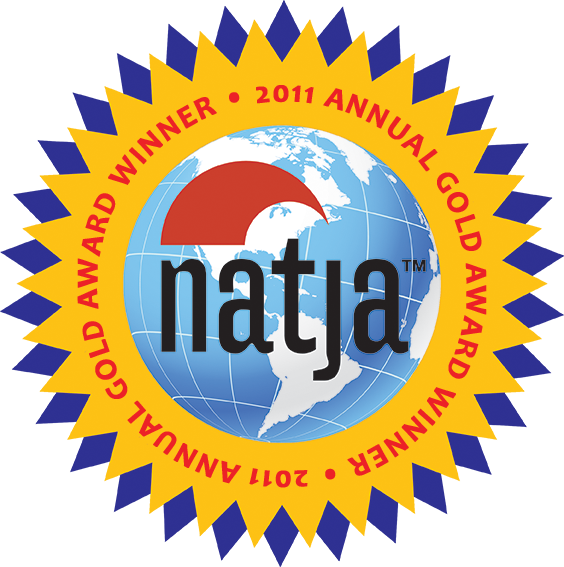 We enjoyed the show very much, so thirsty were we for cultural immersion above and beyond Dora the Explorer episodes. A troupe of four dancers performed a variety of numbers together, as duos and trios. Flamenco is such an expressive, theatrical dance, reliant on exaggerated facial expressions, stomping, clapping, and impromptu shouts of encouragement from each other. The girly girl in me was delighted by the colorful ruffled skirts and fringed shawls. The Columbia is notable more for its history than its size. 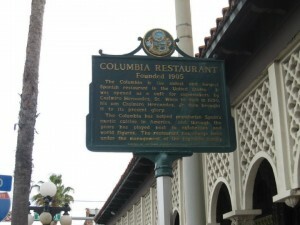 Founded in 1905, this flagship restaurant is the oldest in the state of Florida, and is still owned and operated by members of the 4th and 5th generation of the founding Gonzmart family. 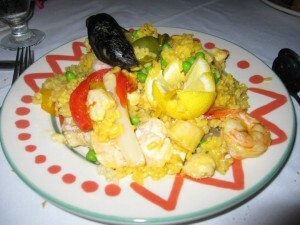 The Don Quixote Dining room, built in 1935, was the first air-conditioned dining room in Florida. 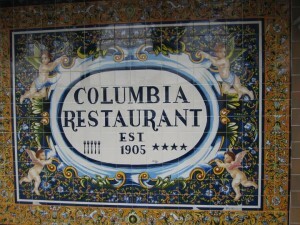 The Columbia was proclaimed the “World’s Largest Spanish Restaurant” in 1965 by General Francisco Franco of Spain. The title is based on its size of 52,000 square feet. There are 15 dining rooms, with seating for 1,700 people. On a Saturday night, 120 people work at the restaurant, which encompasses an entire city block. 7. A meal at the Columbia is a worthwhile addition to your Tampa itinerary, as long as it’s part of a longer visit to Ybor City. Do they have garlic soup at Columbia? That’s one thing I really like on the menu at Marabella. don’t forget there is one here in st pete at the pier that offers great nighttime viewing from the top floor ! 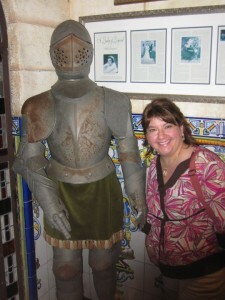 i just found your blog and am luving it!